Full-time with benefits. Hollidaysburg, PA office. 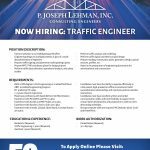 Experienced bridge engineer with 5 to 10 years experience in structural field. Positions will be located throughout WV on various WVDOH projects. Previous experience on WVDOH projects is preferred. 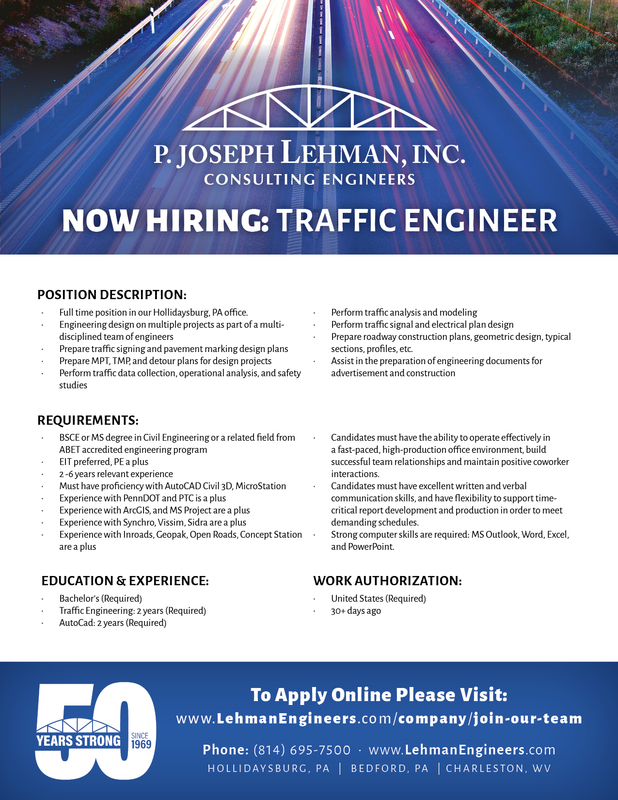 Preferred candidates will have WV Transportation Engineering Technician Certification. BSCE or MS degree in Civil Engineering. EIT preferred, PE a plus. 2-6 years relevant experience. AutoCAD experience required. We’re always looking to add great members to our team!